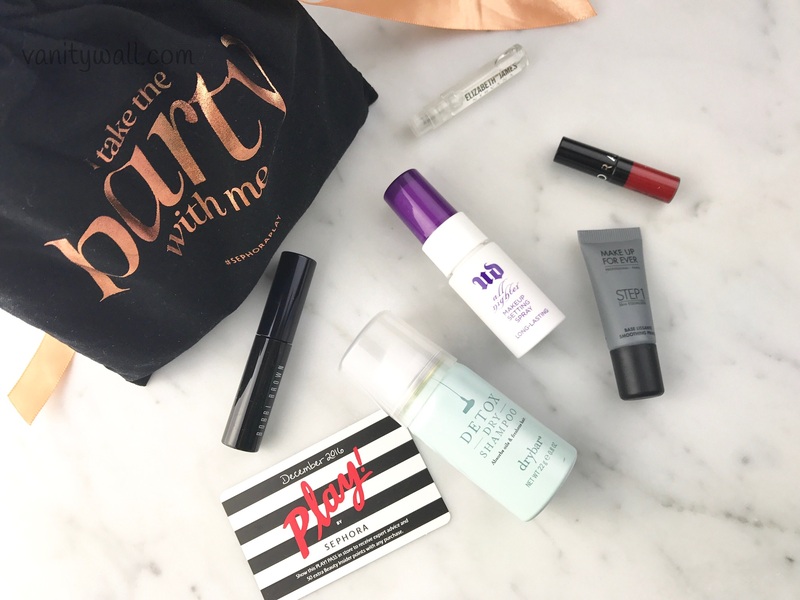 Here are the samples I received in my December Play box. A kohl-pigmented mascara that delivers instant volume and super-saturated length for dramatically dark, stretched-out lashes. I am trying this mascara for the first time and ended up loving it. The brush is thin giving better control on brushing through the lashes. 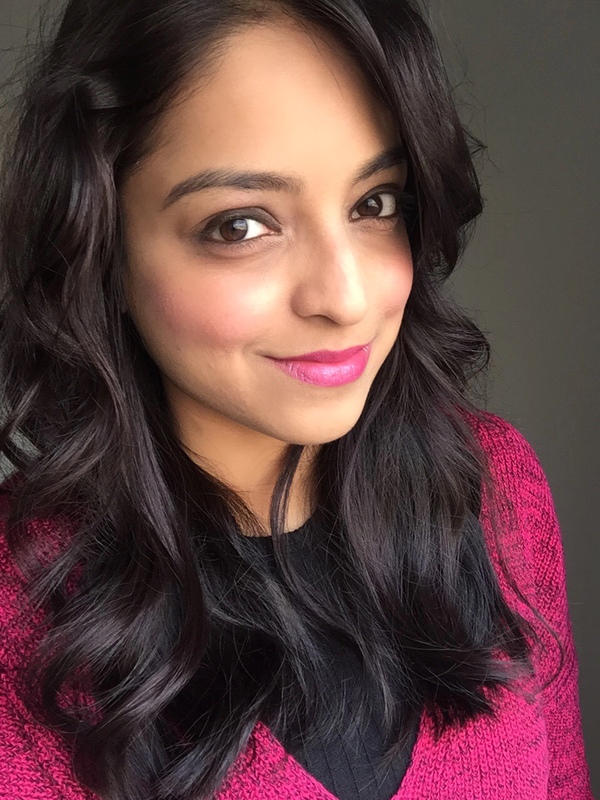 It adds both volume and length and stays smudge-proof throughout the day. A silky, long-lasting lip stain that keeps lips covered with bold color from AM to PM—no need to reapply or touch up throughout the day. The shade is “Always Red” – a perfect blue based red for the party season. I LOVE this formula – it’s so creamy yet lightweight and has opaque coverage. It goes on uber smooth, dries down to a matte finish and has excellent staying power. I have to grab a few more of these beauties. A makeup primer that assists with balancing the skin’s texture and tone for smoother, more even, and longer-lasting makeup wear. The Smoothing Primer does the job well – provides a clean base for foundation to glide on. I have used it just once so the jury’s still out on whether this will make it to my buy-list. A weightless setting spray that keeps makeup looking just-applied for up to 16 hours. This is my all time favorite setting spray. And now I have a travel version – yay! It fuses the powder makeup to the base makeup so beautifully and locks it in place for the entire day. I had applied my makeup around 11 in the morning and was out until 5 am the next morning. My makeup hadn’t moved an inch. True winner! A unique dry shampoo for all hair types that absorbs oils and impurities while adding body. Dry shampoos are my hair saviors all year round. No matter the weather, my hair has a tendency to go limp because of its fine texture. 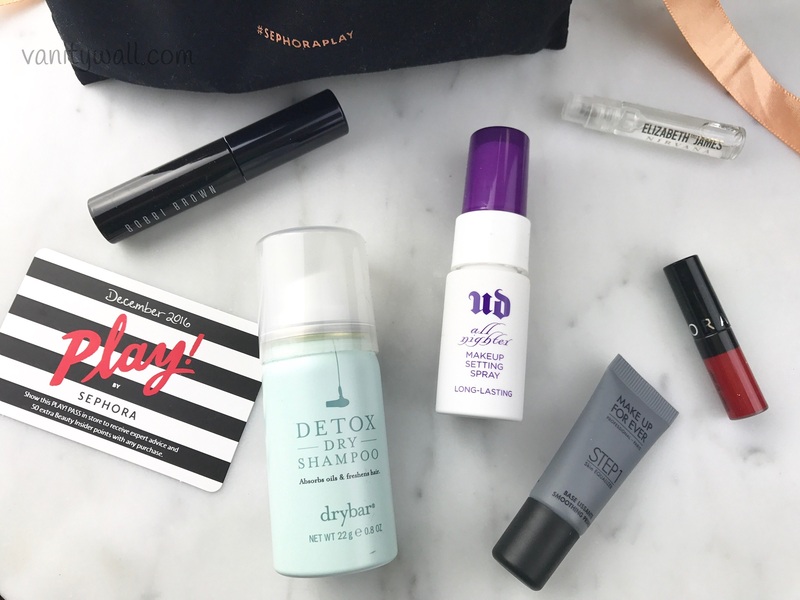 Dry Bar Detox dry shampoo fits my requirement bill perfectly. It absorbs oil from the scalp and adds nice amount of body to the hair. Hair feels very clean with zero white patches. Elizabeth and James Nirvana Bourbon is a provocative blend of sultry vanilla bourbon, oakwood, and a hint of tuberose for a bold, oriental-woody scent with intoxicating confidence. 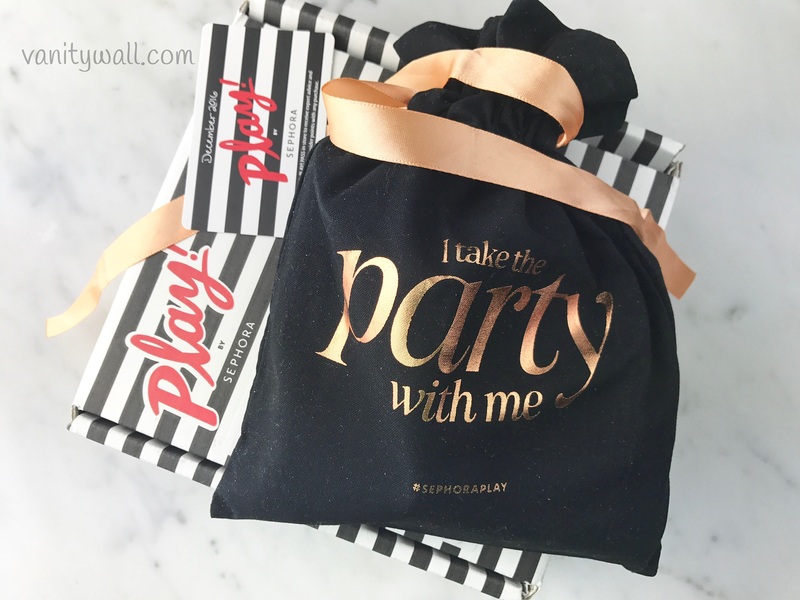 I love the scent and it’s definitely my type of fragrance – feminine without being sweet with a touch of woodsy and musky tone. Overall, I absolutely loved the samples in the December box. Great value for money and I am pretty sure I’d use all my samples. Double thumbs up! !